The Thistle Holborn, The Kingsley Hotel is just a short walk from Convent Garden, the many delights of London lie on the doorstep: the excitement of Piccadily's Theatreland, world-class shopping down Oxford Street, an invigorating stroll through Hyde Park, the British Museum and other renowned attractions. Endless possibilities await guests of The Kingsley a Thistle Hotel . 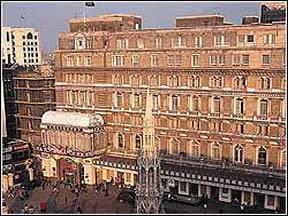 Amba Hotel Charing Cross is a protected historic building, convenient for both the business and leisure traveller. Only a short walk from restaurants, shops and theatres of the West End and a few metres from Trafalgar Square, Charing Cross - A Guoman Hotel is ideally located for exploring the many delights of London. Other fascinating attractions only minutes away include, Covent Garden, 10 Downing Street, the Houses of Parliament, Piccadilly Circus and Regent Street. The Thistle City Barbican Hotel is located on the edge of London's square mile, the conference and exhibition centres at the Barbican are ten minutes away on foot. 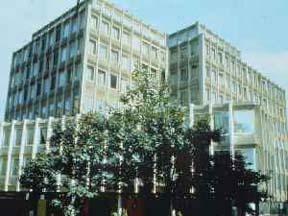 The Barbican offers world renowned delights such as the Royal Shakespeare Company and the London Symphony Orchestra. The Business Design Centre is also close by. 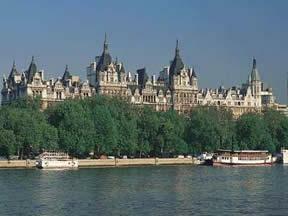 Fascinating landmarks, just a stones throw away, include St. Paul's and the Tower of London. 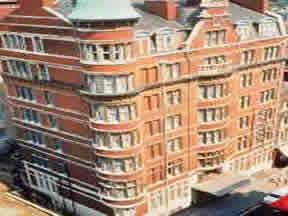 Thistle Euston Hotel a 4 star Hotel is located in the centre of London, minutes from Covent Garden by tube and only two tube stops from the famous Camden Market, Northern Line, and the Shopping area Oxford Circus via the Victoria Line. All major attractions like Theatre District, Regent's Park, Madame Tussauds, London Zoo, the British Library, Piccadilly Circus, Trafalgar Square, are minutes distances via the Tube. The City and Canary Wharf, Londons financial district are easy accessible via the Underground form Euston Station. The Thistle Euston London is only 300 meters from Euston Tube and Bus station, just 15 minutes from Waterloo Eurostar Station by Underground, Northern line, and moments form Kings Cross, St. Pancras station. At the Menzies Chequers Gatwick Hotel is located on the a23, just two miles from Gatwick Airport, but off the flight path, Menzies Chequers Gatwick is a delightful and convenient retreat. Central London is only thirty minutes away by train whilst the South coast and South downs are only a forty minute drive away. There are many fascinating houses, gardens and castles within an hour's drive away, and Windsor Castle is forty minutes by car. Thorpe Park Theme Park is twenty-eight miles away, and Brighton Pavilion, twenty-six. 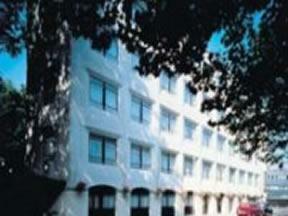 The hotel shuttle service offers a direct link between Menzies Chequers Gatwick and Gatwick airport. The hotel also offers excellent meeting facilities, complemented by high standards of service to ensure successful business events. The Thistle London Heathrow Terminal 5 Hotel With London City Centre only 27 kilometres away, the hotel offers conference facilities and a high standard of service to ensure successful business events. Guests will appreciate the hotel"s air conditioned, fully soundproofed bedrooms, which have en suite bathrooms, direct dial telephones, and tea and coffee making facilities. Rooms with Internet points are also available. 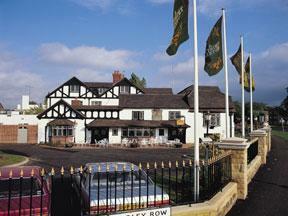 Sample the hotel"s a la carte menu, or take advantage of free entry to the adjacent leisure club. 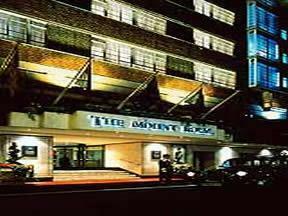 Guests staying at the hotel may use the shuttle coach (available at an additional charge), to and from Heathrow airport. Parking at the hotel is charged at an additional cost. No lift to the first floor. The Thistle Marble Arch Hotel boasts an impressive range of business and leisure facilities to ensure a convenient and enjoyable stay. There is a club floor, gym facilities, business centre, two executive lounges and a theatre desk. The deluxe bedrooms offer an additional sofa seating area and a large en-suite bathroom with walk in power shower. 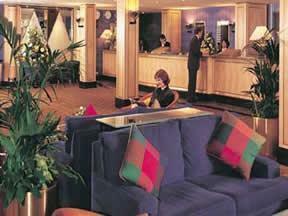 The Marble Arch business lounge is the perfect place to relax between meetings or at the end of a long day. Enjoy a delicious meal in the hotel"s themed restaurant before live music in the Glen Miller. Situated on Oxford Street with Hyde Park opposite, the financial district is only ten minutes away via the underground. 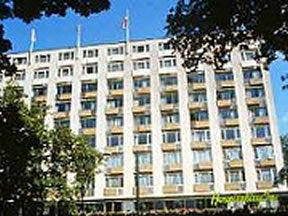 Paddington with its fast link to Heathrow Airport is ten minutes away via taxi. The hotel is minutes away from fine dining, shopping and entertainment venues. 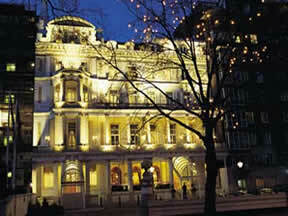 Trafalgar Square, Piccadilly Circus, Soho, Chinatown and Covent Garden are easily accessible. The hotel is minutes away from fine dining, shopping and entertainment venues. 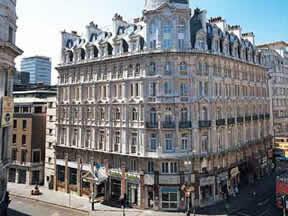 Each of the rooms are en suite; some have a view over Leicester Square. Cupids Bar, on the ground floor, offers the ideal place to relax and watch the world go by. This intimate cocktail bar/lounge in the heart of Theatreland is the ideal meeting place for pre and post-theatre drinks, snacks, canapes and champagne. At the Thistle Royal Horseguards Hotel all rooms have been refurbished to executive standard and are air-conditioned with fax/modem points, mini bar and ironing centre. Some are complimented by a river view. 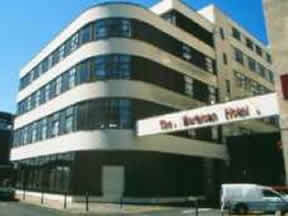 The hotel is within walking distance of many major London sights, theatres and shops. Trafalgar Square, the National Gallery, the Houses of Parliament and Downing Street are just a few minutes walk away, whilst Piccadilly Circus and Leicester Square are close by. Ideally located for the Royal Festival Hall and the London Eye Millennium Wheel, the business district is easily accessible. 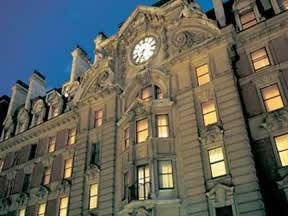 Welcome to one of the most sought after hotels in London. The Royal Trafalgar - A Thistle Hotel is an excellent choice, whatever the purpose of your visit to London, with Leicester Square, the National Gallery, Covent Garden, Theatrelands, shopping in Regent Street and Oxford Street nearby.